For some, they love it. They want to stay that way for the rest of their lives. They want freedom, they want excitement, they want to always make sure they have options…. Let’s call these people…oh, I don’t know…I’ll come up with something…how about…..”Men”. And then there are the others. Ones who want to settle down. Find someone they can trust, lean on and cook dinner with every night. Who want to get married and start a family…so let’s call these people…hmmm…..oh, I’ve got it……”Women”. In the dating world, you either want to be single or you are looking to get married. One or the other. Seems simple right? See, one of the first things you need to do when you’re dating is identify with one of these types….are you just looking for a good time? No commitments? Or are you looking for your future husband or wife? If you decide you are looking to find your husband but you go after a guy that doesn’t want that for another 10 years…ummm…then you’re already losing. Like your relationship has failed before you even got it started. I’ll put a little different perspective on this: It’s like applying for a job at “Vogue”…sounds great…looks like a great opportunity from the outside…shiny, pretty…..and then HR tells you that you’ve been hired(great! )……to clean the toilets…with a toothbrush. Ummm….is that what you thought you were applying for? Nothing wrong with that but you didn’t apply for that job. No. You thought you were going to be mingling with the fashion editors, get to write articles and have a chance at moving up at some point..maybe even to become an editor. But “Vogue” didn’t see that for you. And guess what? They never will. Just like those “shiny, pretty” guys. You know, the ones that look good on the outside but on the inside…they are not serious. They don’t see a future with you(or any other girl at this moment in time). They just want someone there…to have a good TIME with. Not have a good LIFE with. So, how do you know if he’s ready to settle down? Where do you see yourself in 5 years? It’s a question a lot of people get asked so it won’t seem out of the ordinary. A lot of the time, men who are ready to settle down will mention getting married or having kids in their answer…if they don’t mention either of those…most likely…he’s not ready. It doesn’t mean he won’t ever be ready but in the next 5 years…he’s not. He just told you. So if you continue to date him…you gotta remember that…and not expect something different. Why do we do this to ourselves sometimes? Do we really think we will be the ones to change them? 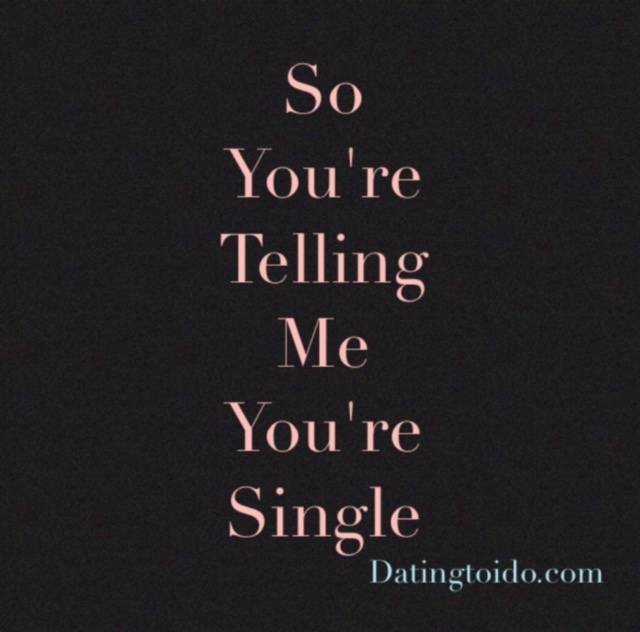 As always, if you have any questions or dating stories…please let me know…..seriously, I loves me some good dating stories..I’ll be sharing mine through this blog (some great..some nightmares! )..so send me an email (datingtoido@gmail.com) and you just might be featured in a post soon!